HTPC has taken over the digital setup box market, Almost who is aware of what an HTPC is replacing their home streaming system with one. They are much more feasible and reliable. Furthermore, they also allow you to boot multiple OS, Which means you have had a streaming OS and windows installed at the same time. Many prefer having Steam OS installed as it allows for much better access to your games library. We are not going to discuss what they are in detail. Instead, we will be finding out whether you should build one or not. Everyone on the internet claims they are a lot of affordable and effective than using an old streaming solution, but it does carry an initial hardware and setup costs. Though this cost is not usually a lot (Unless you want to build a high-end HTPC for 4k streaming), Depending on the type of case, They can usually be built under few hundred dollars. Which might sound a lot considering you already have another system doing a similar thing and there is no defined need for an HTPC. What’s the benefit of building an HTPC over a pre-setup streaming box? Cooling Solution for an HTPC? In short, HTPC does everything your streaming setup box and do, but its functionality is not limited to that. As already mentioned, You can install multiple OS and even play video games. So, It is not only an excellent replacement for your streaming box but also your gaming console. If you weren’t aware, Steam has a custom OS that you can boot, and it gives you direct access to your steam account and easy downloading capability, Much like Song’s PSN store. Much like your regular PC, You have plenty of customizability options. An HTPC can be built at as low as $200 or as high as $3000. How much should you spend? It depends on what you are looking for, As for a TV setup box replacement, A cheap one would work just fine, but if you plan on streaming 4k media or perhaps play games, It will cost you much more. The best part about an HTPC is their cool looks. 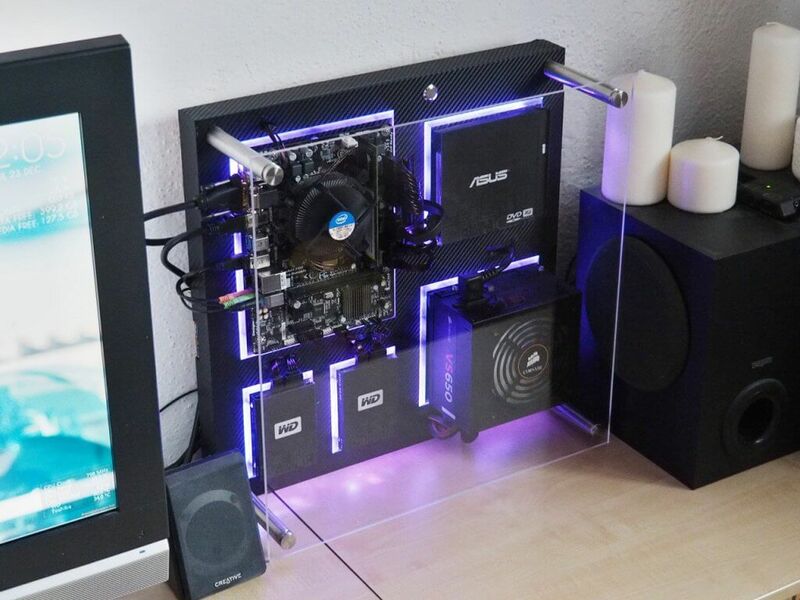 You can build one in a Mini-ITX or an ATX; As I already mentioned, It depends on your needs. Though most would argue building an HTPC in a full-sized ATX case to my understanding, It’s completely fine to use a bigger case as it can help you save a lot of money on a cooling solution. This sets us up for the next topic we are going to discuss, and that is the cooling solution. If you are planning to build an HTPC, You have probably set your eyes on a compact Mini-ITX case, but still not sure how you are going to cool the hardware? From my experience, Liquid cooling loops are usually a great solution when it comes to a compact build, but as you already know, They can cost a lot. Furthermore, they are really hard to build. The best option to is choosing is the slightly bigger case which has enough space to fit in a decent air cooler; This is the most affordable option you will find. But if you intend to build one for your living room, the Sleek and compact design is probably what you are looking for and using a bigger case is not an option. In that situation, You can use a Micro-ATX case, They are not as big as ATX and not as small as Mini-ITX. Micro-ATX cases are an option HTPC solution; You can find some of the best ones here. If you go with a Micro-ATX, This not only means you will have no space to install a bigger CPU cooler but also a different kind of motherboard. Micro-ATX motherboards are quite small but support high-end Graphic card configuration and memory compatibility. So, Should you buy one or perhaps build one? Throughout the article, I mentioned feasibility multiple times but is it that feasible considering the initial setup costs? The answer is yes; They are feasible if you look it as an investment. You won’t have to pay for digital setup box subscription anymore, Which can be very expensive. You can instead opt of subscriptions like Amazon Prime Video or Netflix, both of which you probably use already. One thing to notice is that you will not be able to stream 4k resolution videos on a cheap HTPC, building a good one can cost a lot. How often do I steam media? Do I need 4k Streaming? How often do I game but feel lazy to turn on my computer? I hope you are getting the idea, HTPC can solve a lot of problems. As for gaming, HTPC as particularly not considered as something for gaming but they can sure be used for it. The best part is that you can even connect a controller to it and play all the games you want without having to go through any time-consuming process. I hope this guide helped you make the decision, If not let me know what more you would like to know.